As REALTORS®, it is important to stay on top of the latest housing trends – not just the market, but also amenities. When it comes to technology, there’s no doubt we have seen an increase in home automation. While once only a luxury, technology is making it more mainstream and accessible. Even AT&T is running advertisements like “Cabin” – which features how with a click of a button on your smartphone, you can lock your doors, turn out our lights, and close the shades – no matter where you are. Home automation and the “house of the future” are exciting ideas that have literally been around for decades; much longer than the Internet. 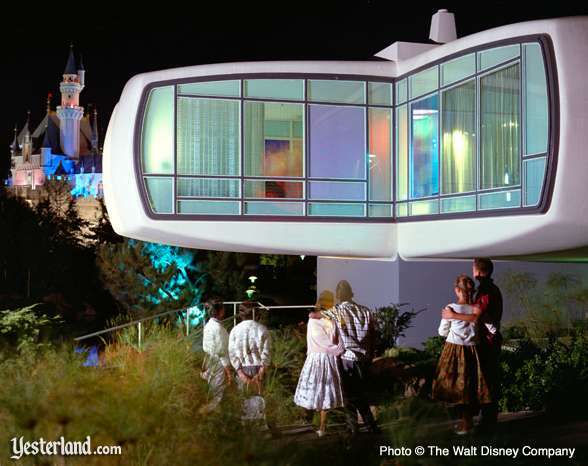 In the 1960’s, Disneyland built a (plastic) House of the Future. Today, there is a Home of the Future on the Microsoft campus in Redmond, WA. The idea is simple: How can technology improve the way we live? To answer this question, let’s look at Silicon Valley startup Nest, maker of the well-known Nest Thermostat and their latest product, Nest Protect (a smoke detector). While a thermostat of smoke detector might night be the most exciting devices in your home – Nest has taken the design sensibilities of the iPhone and is changing the way we think about these everyday household products. These products are beautiful, easy to use and really smart. By smart, I mean they feature artificial intelligence in their programming and include sensors to monitor the environment in the home. They are connected to the Internet and you. They learn how you like to live and help you save money or save lives by automating some of the most mundane aspects of running your home. AND they are a great closing gift to really impress your clients. Stephen Skinner is Vice President of Information Technology at Alain Pinel Realtors and is responsible for overall technology strategy and implementation throughout the APR organization. Since becoming APRs VP of Information Technology in 2007, Skinner’s accomplishments have included the introduction of new consumer and agent tools such as advanced map-based property search and new agent websites.